I Found An Escape Route…Let’s GO! Hey, look at this! I found an escape route in Aunt Ashley’s back yard. Come on Mason and Madison…let’s go! Aaaah, the adventure of the little one’e continue! When you are a far away grandparent, every move you make…I will be watching you! Have You Heard of CreativeLive? A Worldwide FREE Creative Education!! Oh, mercy me! So much goodness bundled up in this educational internet channel, empowering you to unleash your potential by bringing the world’s greatest experts directly to you, live. Free live online workshops taught by world-class experts. Learn photography, Photoshop, software, design and more. You only pay for classes if you want to see them beyond their original LIVE performance. If you miss some classes, see something in the archive you like, or want to download it and put it on your iPod, iPad, or wherever, you can pay to download the class for a fee that’s minuscule in comparison to what that instructor normally charges. No streaming, no bologna. You get the file. They use money from downloads to pay the instructor and cover their time and costs for producing and distributing the content. I spent a portion of this weekend, enrolled in the professional food photography with world-renowned commercial photographer, stylist, and NY Times columnist Andrew Scrivani! What did I experience?…oh where do I start? First, learning the value of your time and your art and learning to balance all of this. In this crazy world of photography! Some of the best time I spent…in a LONG time! Spend some time checking out this incredible opportunity for YOURSELF! your family is just a little bit gorgeous!!! Your shot are fantastic and it isn’t easy to capture a quick moving little gaffer! Such a sweet boy, and great photos of him! Precious photos, especially the one at the red door! Adorable little guy! Love the last two phtoto 🙂 Thank you so much for the CreativeLive link! The position of his footie in the red door pics really captivated me. The dirty spot that was hiding underneath, that I never would have seen…I love photographs for this!!! Nice work, again, Laurie!!! Little boys are so much fun! Gotta love their energy. Love those little tippy toes…will check out that education spot…sounds quite interesting!! Very cute! Thanks for the link to creativeLive, too! Free Photoshop class with Dave Cross — what more could you ask for! Mason is so, so cute!!! Those blue eyes are amazing!!! I love your photos Laurie! (( they are always wonderful!)) Thank you so much for the tips! I’m going there!!! Laurie, these photos are wonderful!! I love the one where he is reaching for the door key! How can you ever keep from smooching those precious cheeks! You are so full of enthusiasm, and your desire to see the rest of us grow right along with your growth is awesome. I look forward to checking out Creative Live. Enjoy your day! I agree that CreativeLive is a great resource. If you miss the live broadcast they do a rebroadcast the following day plus you can always buy recordings. So vibrant and lively pictures! Great shots. What is it with kids and mulch? Blessings! love those chub-chub toes and fingers and it’s so fun to go barefoot in the grass, I never tire of it. I used to use CreativeLive quite a bit, but have not visited there in a while. Have to get back there soon! Lisa, there is one downfall to Creative…the live times, sometimes just don’t work out with our schedules. These are just fantastic Laurie. You’ve really captured these beautifully. Child is growing. It’s beautiful! I miss my little ones….they grow up way too fast – thanks for sharing. Love the photos and the education suggestion. Will definitely check it out! Ed, you do amazing work in your field. Awww – he is just adorable! Mason is too adorable. I am sure these pictures you have taken will be treasured. And thanks for the tip, I’ll look into it! Love seeing photos of Little Man. I did the same thing. 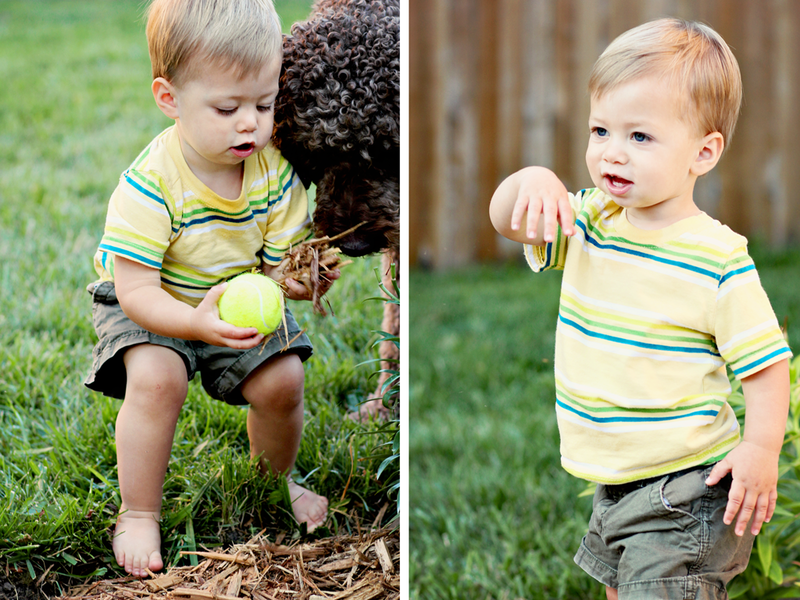 Took hundreds of pictures of my grandchildren while they were growing up. Thanks for the link. Little man is so cute! How do you stand it? I’m so glad you got to check out Creative Live! Isn’t it amazing? A wealth of knowledge. Thanks for the shout out! He is so darn adorable!! 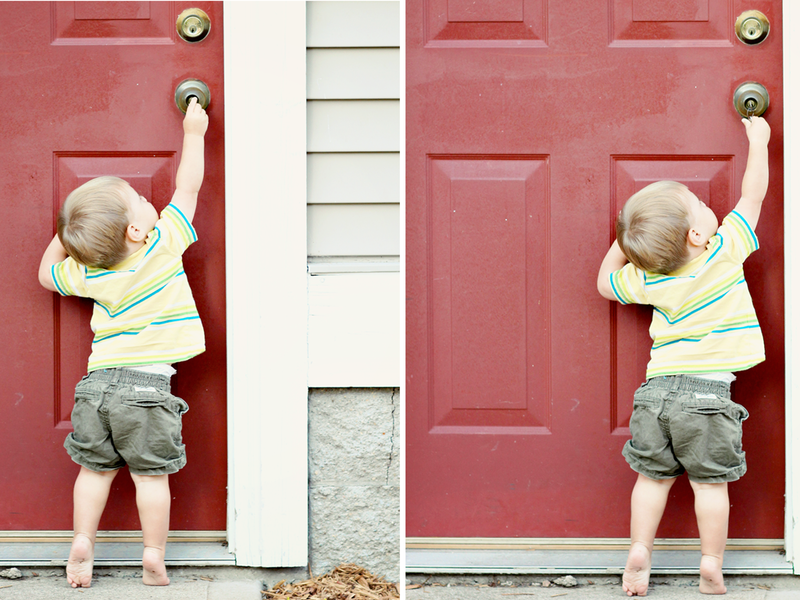 Love how he is playing with the door, toddler curiosity is so precious!! More joyful images from you–and thanks for the tip about CreativeLive. I’m off to Bookmark it. Visiting from Miscellany Monday — and love all your pictures! So fun! What a sweet way to start my day, you take the most amazing natural photographs – it helps to have one of the cutest grandbabies on the planet. I love Madison! 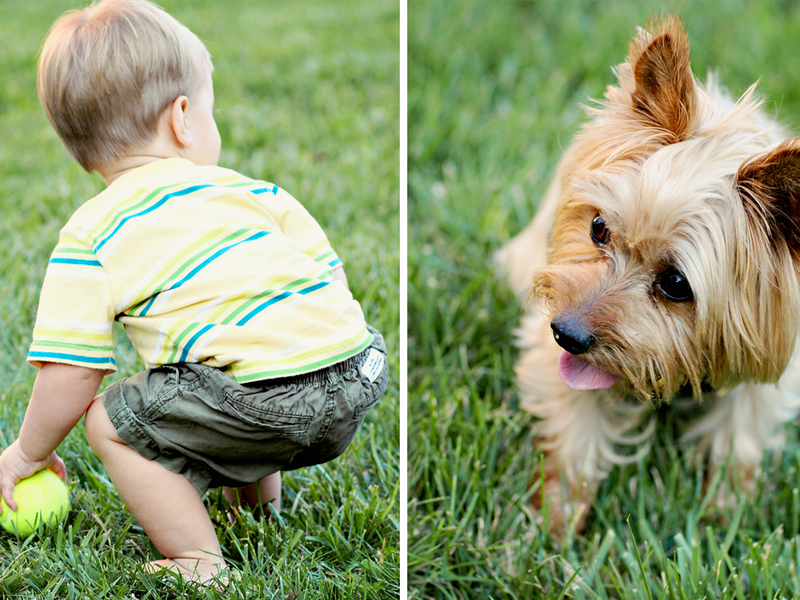 Your grand baby and grand pooches are so cute!! I think your little man has already been into CreativeLive classes; he’s so full of creative ideas ably assisted by two eager dogs.